White skin often looks pale and gives the face a painful and exhausted. Therefore, many women tend to make the skin darker. This can be achieved in several ways – with the help of tanning, cosmetics and folk recipes. Consider in more detail each of the methods. Tanning in the sun is the most natural way of getting a dark skin tone. It is only available in the warm season. The maximum effect can be achieved if you use special boosters and fixers tan, tan frequently, for 15-30 minutes a day. However, after 2-3 months, the sun will come down, and the skin will regain light color. Achieved during the holiday tan is necessary to maintain the Solarium every one or two weeks or periodically, to take a course of tanning of 10 treatments. As soon as the skin starts to lighten, the course must be repeated. To achieve better result from tanning, include in your daily diet fruits and vegetables of red and orange hues. If the skin remains white after tanning in the sun and in the tanning bed, use tanning. Cosmetics allow you to achieve a dark skin tone fast but for a short time. You can buy concealer or powder semitone-tone darker than your skin. When applying cosmetic products do not forget your neck and décolleté to the dark color looked natural. It is best to apply Foundation with tanning effect and a Golden sheen. Too dark complexion will not be combined with any other exposed body parts (hands, feet, etc.). 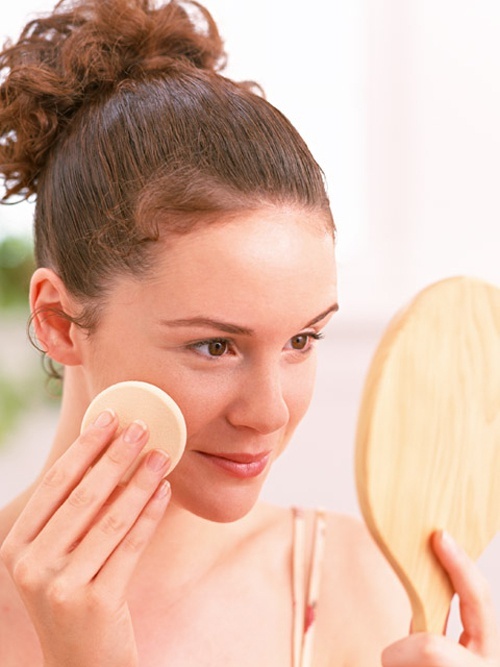 Folk recipes will help to make the skin darker, like the bronzer and Foundation cream. Painting effect has carrots, coffee, tea. Mask from carrots will improve not only the color but also the condition of the skin. Grate carrot on a small grater, put it on gauze and put on face. Hold for 15-20 minutes and rinse with cool water. Make a mask daily for 1-2 weeks. Tea and coffee-toned skin. Freeze diluted coffee or tea in the fridge. Wipe ice cubes face in the morning. Can just wash with strong tea or coffee.